3. How to Calculate Capital Gains Sale of Investment Property on Which Mortgage Is Owed? If you sell real estate for more than you paid for it, you may owe capital gains tax on the sale of the property. You can report and file this through your usual federal income tax return. If the property is your primary home, you may be able to exclude some of the gain from your taxes. Make sure you understand the IRS rules about when these provisions apply. If you sell real estate at a profit, you'll normally owe income tax on the capital gains on the land sale. You'll also need to make sure you pay the right amount of property tax on the time you owned the land. If you own property as a home or simply as an investment and you sell it for more than you paid, you will likely owe capital gains tax to the Internal Revenue Service. Capital gains applies when you sell an investment, whether it's land or stocks, that you've held for more than a year. The good news is that the capital gains rate is often less than you'd pay on ordinary income, such as income from work or bank interest payments. Most taxpayers pay a capital gains rate of 15 percent, while some pay 0 percent or 20 percent depending on their income. You may also owe state capital gains tax. Your capital gain is equal to the amount you sold the house minus your cost basis in the property. The cost basis may just be the amount you paid for the house, but it's usually a larger number, because you're allowed to include purchase expenses such as title insurance and closing costs, as well as selling expenses including a real estate agent commission and lawyer's fees for when you sell the property. You can also deduct the costs of improvements you made to the property that have a useful life of more than a year, which is likely to include most structures and renovations on your land. If the property has gone down in value, you can claim a deductible capital loss. If you've owned the property for less than a year, you may have to pay tax at the short-term capital gains rate, which is equal to your ordinary income rate. This may be a reason to hold on to real estate for at least a year unless there are particular reasons why you simply can't. If the piece of property you're selling is your home, you can exclude a great deal from your taxable capital gains. Specifically, if you're single, the first $250,000 of your gain is excluded from federal tax, and if you're married, you can together exclude up to $500,000 in gains. 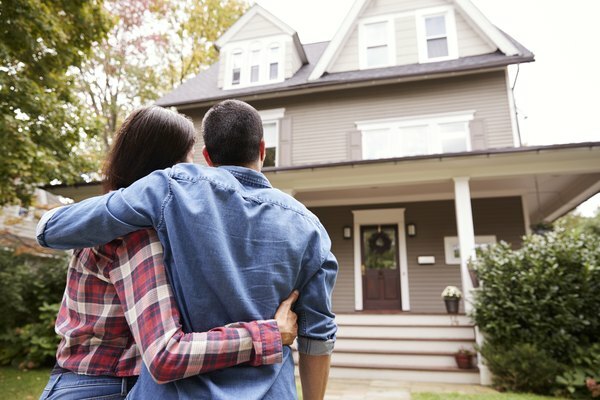 To be eligible, you must have owned the home for at least two years and used it as your primary residence for at least two of the five years leading up to the sale. Vacations and short absences don't count against you, and special rules apply if you become physically or mentally unable to care for yourself or if you're on active duty with the military, intelligence services or the Peace Corps. You may also be able to claim a partial exclusion if you had to move for health reasons or because you or someone you lived with took a job at least 50 miles further away from the home than previous employment. Exclusions are also available if the home was destroyed or damaged, someone who lived in the home divorced or became separated, gave birth to two or more children from one pregnancy or had various other extenuating circumstances. Check IRS publications, contact the IRS or reach out to a tax preparer if you're not sure whether you meet the requirements. Special rules apply for tax implications of selling vacant land adjoining your home. For the land sale to qualify for the capital gains exemption, you need to have used the land as part of your home, you need to sell the land and your home itself within two years and the sales must meet normal eligibility requirements for the exemptions. If those rules are met, you can claim the capital gains exemption on the sale of the vacant land near your home. A special rule applies if you move your house or a mobile home to a new piece of land and sell the old land. In that case, you can't treat the sale of the old property as part of the sale of your home. If you inherit capital assets, including real estate, the cost basis will reset to the fair market value of the asset when the previous owner died. In some cases, estate executors or administrators can instead choose to use a date six months after the owner died. This can mean less taxes for the heirs to an estate to sell a property that has gone up in value than for the original owner to sell the property, pay tax at the original basis and leave the proceeds to his or her heirs. If you are selling a rental or business property and buying another, you can do what is called a Section 1031 exchange, named after a portion of the tax code, to reduce or eliminate your capital gains. It's also known as a like-kind exchange, since you are selling one type of property, namely real estate, and buying something equivalent. The exact nature of the properties doesn't matter. Essentially, you must sell one piece of investment or business real estate and quickly buy another to defer your taxes until you sell the final piece of property. You must have an organization called a qualified intermediary hold on to the proceeds of the sale. If you receive cash or a check, you won't be eligible for the exchange. Then, you must identify the property you want to buy within 45 days of the sale and close the deal within 180 days of the sale to be eligible. Any additional profit you make beyond what you spend on the new property must be recognized as either income or capital gains. Section 1031 exchanges can be a good way to buy and sell investment real estate without paying unnecessary tax, but you must make sure you comply with the rules or you can face an unexpected, potentially large tax liability. Consult with a tax lawyer or tax preparer if you're not sure how to do the exchange correctly under the law. You're also not allowed to use Section 1031 to buy and sell your own homes or, under current tax law, for property other than real estate, such as equipment or vehicles. You may also see a state or local tax bill from the sale of your real estate. Most states have a real estate transfer tax system, where the seller is typically responsible for paying a tax on some portion of the property price. In some cases, the buyer may agree to cover the tax. The tax can often be added to the property's cost basis for capital gains tax purposes. You should also work with your local city or county government to make sure you don't overpay or underpay property tax when you sell your land. Asset Preservation Inc.: What Is a Qualified Intermediary? Investopedia: How Is Cost Basis Calculated on an Inherited Asset? Do You Have to Pay Capital Gains Taxes on Profits of Property? How Soon Does Money From Selling a House Have to Be Invested So No Capital Gain Tax Is Paid? What Is Capital Gains Tax on Real Estate?